There are many Bear Shops throughout the US, but our story starts with Virgil Bolles. In the 1940s, Virgil Bolles created the California Auto Safety Service Specialty Shop. Virgil's training came from the Bear School of Automotive Safety Service in Rock Island, Illinois. Bear's record in training was the best in the nation. In fact, it was so well respected that Bear was given the honor of managing the Official Safety Service Center at the Indy 500 in Gasoline Alley for over 4 decades. The school has since closed, but the philosophy and training goes on, and has been passed down through generations. Virgil's passion was helping people. His philosophy was to build good relationships with his customers and offer honest, excellent service at a fair price. He instilled this in all of his technicians and staff. Mr. Bolles was a great leader who loved his crew. He encouraged them to expand the Vehicle Safety concept by opening their own shops - not a franchise - their own shop free from franchise burdens. In 1952 one of Virgil's crew members, Marvin Stanka, came to Corona, CA. In 1955 he opened Corona Brake & Wheel, now Bear Alignment and Brake. He sold his shop in 1959 due to failing health to his good friend and colleague, Corwin Jones (also the son-in-law of Virgil Bolles!). Tim, there are enough vehicles on the roads today that need legitimate service. If you truly want to help people, just do a good, honest job for a fair price. Your customers will always come back and you will always have plenty of work. Eight years later, in 1976, Tim O'Donnell, Sr. opened his own Bear Shop called Norco Brake & Wheel in Norco, CA. In 1985 Tim purchased Corona Brake & Wheel Service from the Jones family and renamed it Bear Alignment & Brake Service in honor of that awesome neon Bear sign. 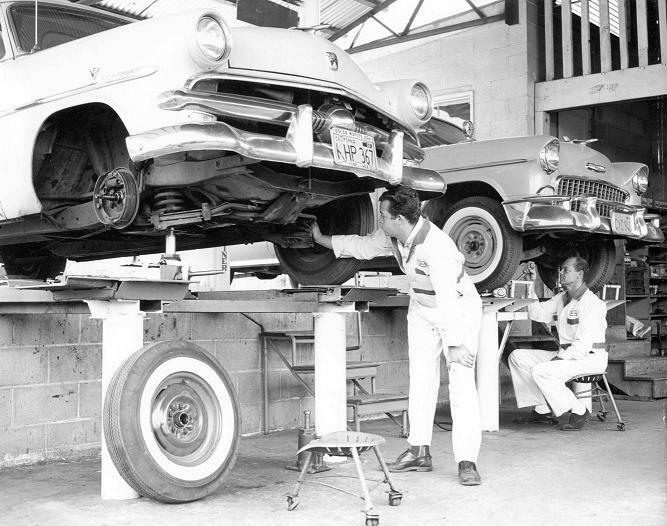 To this day Bear Alignment and Brake Service has been a major part of the history and community of Corona, CA. 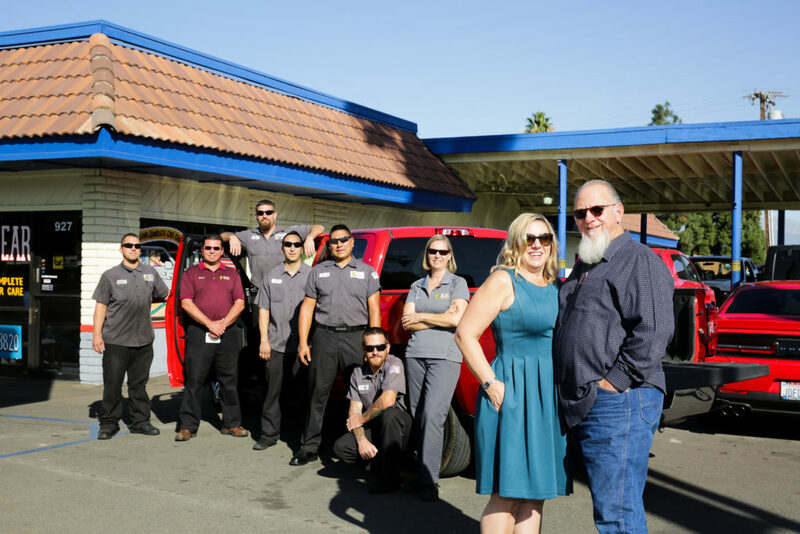 With a great staff, many of whom have been here for over 10 years, and a customer base too vast to count, Bear Alignment and Brake continues to be a major success story in Corona. In the late 1980s Tim, like Mr. Bolles and Mr. Jones, invested in another great protege, his son Timothy (TJ) O'Donnell, Jr. TJ brought with him many new and innovative ideas and by 1996 was managing the shop. In 2002 TJ brought Paul Angulo on board. TJ knew Paul from high school and knew that Paul was a great technician. More importantly, he knew Paul to be an honest tech. In 2005 TJ put Paul at the front counter then went on to further his education and skills in management. TJ has managed many shops for large car care companies and is an ordained pastor. In keeping with the Vigil Vehicle Safety Concept, TJ has opened his own Bear Alignment & Brake in Murrieta, CA. Thank you for trusting us with your vehicle's health and safety needs! Ready to see if your vehicle is as safe as can be? Schedule a FREE 84 point preventative maintenance courtesy check today!